John Harris, owner of the White Horse, presents a check to Bernie Beaudreau, CEO of the food bank, and Cheryl Thompson, philanthropy director. 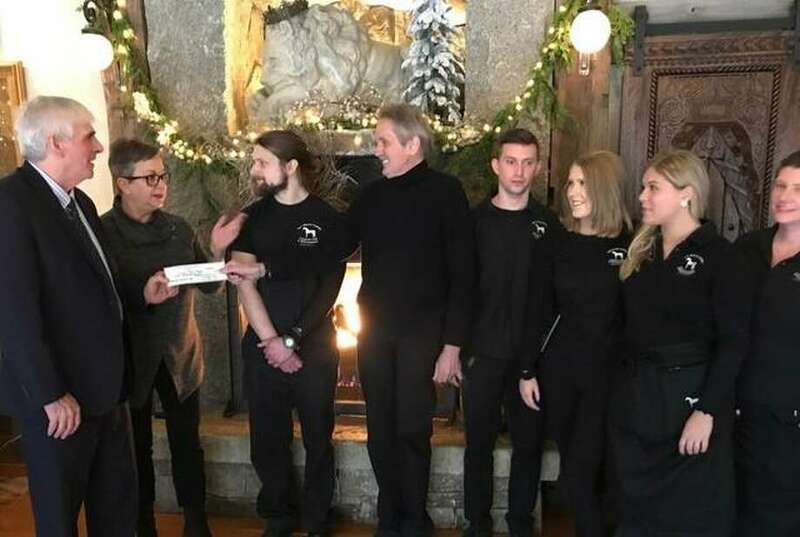 The White Horse Country Pub and Restaurant in New Preston donated $4,000 to the Connecticut Food Bank, which can provide 12,000 meals. The money was raised from the Christmas Ornament sale. The ornaments were crafted by Woodbury Pewter and sold for $20 each — all of which goes to the food bank. The White Horse has donated over 75,000 meals in the last few years. One in six children and one in eight adults are food challenged in Connecticut, according to the press release.